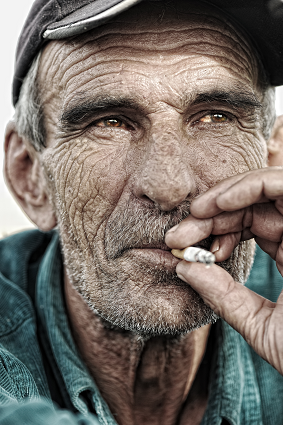 30 Minutes a day of Exercise as Good for Old Men as Quitting Smoking…. Note to old men: DON’T ask your doc if this study means that you can keep smoking when you start walking 30 minutes a day. He’ll yell “NO!” Guaranteed! It DOES mean that active older men are forty percent less likely to die over the course of a twelve year study than those who spent that time lollygagging on the couch. While the benefits of exercise have long been recognized, even experts were surprised by the extent of the benefits. “Major indeed!” says Grancy. “So get off that couch, put your cigarettes down, stop poppin’ pills, and get active. Your grandchilluns need you. Your chilluns need you. And, most of all, your “Grancys” need you!